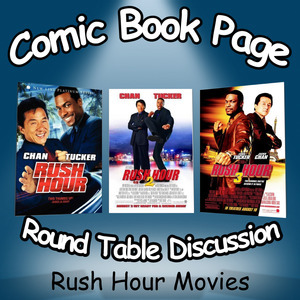 With Rush Hour television series which started on CBS on March 31st, John and Kay have a spoiler filled discussion about Rush Hour, Rush Hour 2 and Rush Hour 3. This entry was posted in Movie, Podcast, Podcasts, PopArtsPlace, Review and tagged Action, Agent Sterling, Alan King, Beach Boys, California, Captain Chin, Carter, Chris Penn, Chris Tucker, Clive, Comedy, Consul Han, Detective Inspector, FBI, Griffin, Han, Harris Yulin, Hong Kong, Hu Li, Isabella Molina, Jackie Chan, James Carter, John Lone, Julia Hsu, Juntao, Kai Lennox, Ken Leung, Kenneth Tsang, LAPD, Lee, Lisa LoCicero, Los Angeles, Maggie Q, Martial Arts, Michael Chow, Paris, Ricky Tan, Robert Littman, Roselyn Sanchez, Rush Hour, Sang, Secret Service, Solon Han, Soo Yung, Steven Reign, Tom Wilkinson, Tzi Ma, Ziyi Zhang on March 30, 2016 by Kay. 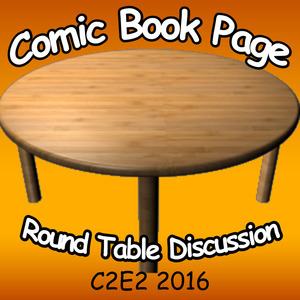 John, of ComicBookPage, and Kay, of PopArtsPlace, talk about the recent C2E2 convention in Chicago. The discussion includes talk of the exhibit hall floor, as well as panels that range from Supergirl, Battlestar Galactica, Marvel’s Agents of S.H.I.E.L.D. and John Ratzenberger of Cheers to Comic Book centric panels such as one about taking a script page and taking it to the page, making the panels and all the way to adding colors. This entry was posted in Convention, Podcast, Podcasts, PopArtsPlace and tagged ABC, Angel, Battlestar Galactica, Battlestar Gallactica, BSG, C2E2, CBS, Cheers, Chicago, Chloe Bennet, Chloe Bennett, Chyler Leigh, Clare Kramer, Cosplay, Grey's Anatomy, Harry Potter, J. August Richards, John Jackson Miller, John Ratzenberger, Kevin J. Anderson, Marvel, Marvel's Agents of S.H.I.E.L.D., Melissa Benoist, Roti, Star Wars, Supergirl, Toy Story on March 23, 2016 by Kay. 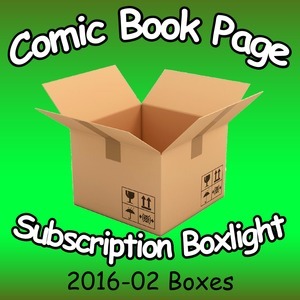 This entry was posted in Podcast, Podcasts, PopArtsPlace, Review and tagged AMC, Attack on Titan, Chimicangas, Comic Con Box, Dead, Deadpool, Deathnote, Dorboz 88, Eliot Quest, Firefly, Funko 123, Geek Fuel, LootCrate, Marvel Collector Corps, McFarlaneBuilds.com, Mercenaries, Mopeez Plush, Paper Craft, QMX, Quantum Mechanix, Retro Video Game Magazine, Shirt, Soap on a Rope, Steam Game, Stormtrooper, Subscription Box, Subscription Boxlight, Suspenders, Walking Dead on March 11, 2016 by Kay. John Mayo, of ComicBookPage, and Kay Kellam, of PopArtsPlace, have a spoiler filled discuss about the second season of The Librarians. This entry was posted in Podcast, Podcasts, PopArtsPlace, Review, Television and tagged @ChristianKane01, @johnharlankim, @LibrariansTNT, @LindyBooth, @RebeccaARomijn, @tntdrama, Bob Newhart, Boston Legal, Brains, Cassandra Cillian, Charlene, Christian Kane, Dulaque, Eve Baird, Ezekiel Jones, Fabric of Time, Flynn Carsen, Galahad, Jake Stone, Jane Curtain, Jenkins, Jerry O'Connell, John Harlan Kim, John Kim, John Larroquette, Judson, Labyrinth, Leverage, Librarians, Lindy Booth, Matt Frewer, Minotaur, Night Court, Noah Wyle, Rebecca A. Romijn, Rebecca Romijn, Sliders, The Librarians, Thief, TNT on March 2, 2016 by Kay.